Molly Armstrong began her career as a caseworker with adolescent girls. In 1986, she built a transitional living program for homeless teenage girls and mothers. After graduating from law school and spending some years as a public defender in the District of Columbia, she joined the Vera Institute of Justice in New York. At Vera, she built a 24/7 response system, Project Confirm, to address the over-representation of foster youth in the juvenile justice system by coordinating among the City's Department of Juvenile Justice, Probation, and child welfare systems. Molly authored the Family Court Improvement Project court processing study for New York State. She helped the leadership at the Administration for Children's Services, New York City's then newly created child welfare agency, at the start of its reform, diagnose a series of challenges with adolescent practice, kinship care, and data systems. Over eight years, she researched, designed and implemented a series of other interventions to address overlap among the child welfare, juvenile justice, substance abuse, and mental health systems. 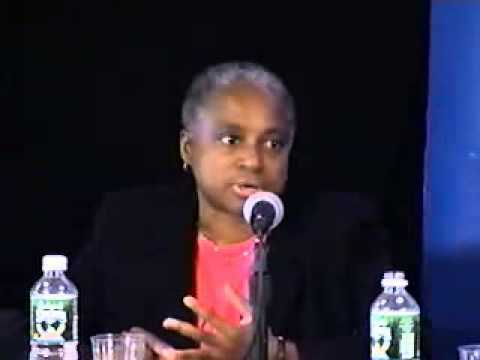 In 2004, she received the Kathryn McDonald Award for Excellence in Service to the Family Court from the Association of the Bar of the City of New York. After leaving New York City to assist Governor Blanco's juvenile justice reform efforts in Louisiana, she joined New Jersey's Department of Children and Families as Director of Policy and Planning. There she focused on rebuilding New Jersey's foster care recruitment and licensing practice and developing the performance metrics, tools, and capacity used to drive reform. Molly specializes in utilizing intensive field and data diagnostics to identify challenges and then design and implement practical, effective and efficient solutions. She is a graduate of Yale University with a law degree from New York University and a Masters of Law in Clinical Advocacy from Georgetown.